Renting a house and dealing with new people is not an easy task to accomplish. While choosing a tenant to rent out their properties, every landlord looks for a tenant who is reliable and can take good care of their properties. If you want to keep your tenants for a long time, the best way is to build a strong relationship with your tenants in place of relying entirely on property management software. The way you deal with your tenants determine how your tenants will treat you. It is important for the landlords to turn on the charms to reduce the cost of tenant churn. 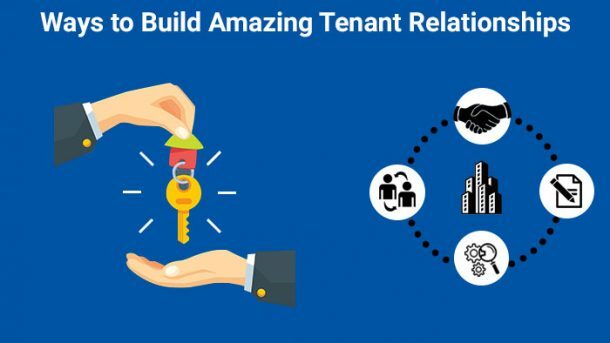 Here are a few tips that can help in building an amazing tenant-landlord relationship. The first impression goes a long way. Hence it is essential for the landlords and property owners to build a good first impression in front of the prospective tenants. Most properties take more than one or two viewing before they are actually let out, hence in place of being despondent and make the prospective tenants feel unwanted, the landlords need to put on their best smile and think this person is going to be with them for many more years to come. Remember to turn up on time and give full attention to the needs and requirements of the prospective customer. It is important to remember that the relationship with your customer is a transactional one. Hence, provide them with detailed information and sought out all their queries, that will help them build trust in you and make an informed decision about the property. Communication is the most crucial factor for a healthy tenant-landlord relationship. If a problem arises, it should be dealt with immediately so that the tenant doesn’t feel neglected. Open and direct communication is crucial for the two parties for developing their relationship. If in case you are using a property management software or service, let your tenants know in advance what to expect and how to get their problems sorted. The rapid change in the technology has raised the standard of tenant expectation. The advancement of technology has made the communication between the landlords and tenants easier. Property managers and landlords are using various software for rental property to help streamline the maintenance processes, letting them create a proactive communication with the tenants. Some problems require immediate attention from the property manager or landlords while some issues may be thought of as least important and can be postponed for a while. But the probability of a tenant staying with you for a longer duration without feeling inclined to shift relies upon how well their problems are heard and sorted. No matter what is the intensity of the issues brought by the tenant, it is vital for the landlords to treat them all with the same level of understanding and reassure them of resolving the problems to the best of your efforts. A tenant stays in a house because they feel at home if they think their privacy is being violated they are bound to leave the house and shift to a newer accommodation. Hence it is essential for the landlords and property owners to respect the privacy of the tenant. While understanding the importance of security and the ownership associated with the house, it’s the responsibility of the owner to make the tenants feel comfortable. If you need to pay a visit to the house, provide plenty of notice to your tenants so that they can be well prepared in advance and doesn’t feel uncomfortable at the sudden visit. It is important for the landlords to understand that the tenants are not some random people staying on a property owned by you, they are paying you for the services and the home. Hence they are your customers with whom you should maintain a professional relationship. Be friendly but don’t be too familiar with them as it may affect your relationship. Doing a business where emotions are involved can lead to difficulties in transactions. Stay out of the personal issues of the tenants as these may appear to be interfering. No matter how big your real estate business is and how many clients you are handling, it is always advisable to keep all the transactional records safe, in case any dispute arises. The software for rental property helps in managing these issues with ease, while the best property management software by Maisonette provides solutions for all management related matters under the single roof. Finding a good tenant is not an easy task to accomplish, hence if you find one you are likely to hold on to them. If a tenant requests you to make some changes to the agreement, be open to suggestions. This flexibility makes the tenants feel important, and they feel inclined to stay there. The best software for rental property by Maisonette will help you to reap maximum rental returns on your property as well as having happier tenants. With the Maisonette real estate software, your tenant as well as the property, both will care for 24/7 as the more complex issues such as repair works, rent collection, etc. and the daily day-to-day tasks will be automatically taken care of. Our software for rental property management provides peace of mind to thousands of landlords across the UAE and Egypt by assuring that every aspect of real estate management runs hassle-free for them.